I've been meaning to post about these streamers for ages. We made some at church ages ago to use during song time but I wanted to make some at home too. 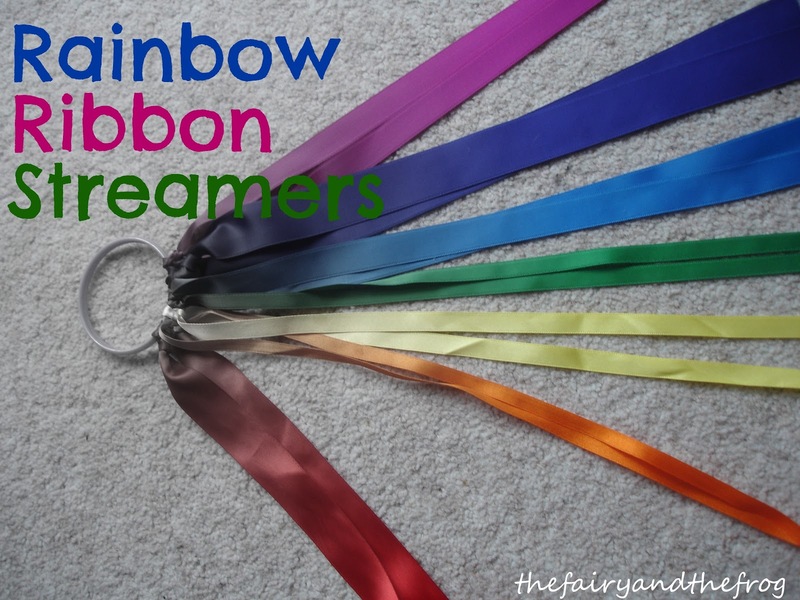 First get some ribbon - we chose a rainbow selection as we have been thinking about rainbows lately. Then tie the ribbon on to a hoop (we used a bangle that we got in a party bag). These make great props for music and dancing. 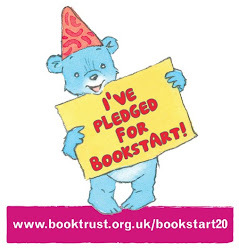 If you wanted to you could use them in a 'rainbow party'(I've seen loads on pintrest). Or you could link them to the story of Noah. This summer we have enjoyed alot of barbecues with family and friends (despite the weather being typically British!). The Fairy loved it - food, people to chat to and often games too - her idea of bliss. So I thought that as a surprise I'd make some pretend play props with my new sewing machine (by new I mean me to me, as in found with a sign saying 'free to good home'). She loved the results (I was quite proud too - as my first attempt using the machine, it's not bad!). The only thing that is nearly as good as eating barbecue food -playing barbecues! Regular readers of my blog will know we were lucky enough to join in birthday celebration for the book Dear Zoo last week. As party of the goody bag we were given we received a copy of the brand new book Touch and Feel version of the classic. 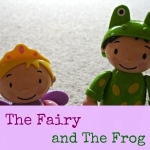 Both 'The Frog' and 'The Fairy' have enjoyed getting to grips with it (this was especially appreciated by me on our our train journey home, when they were fed up with the entertainment I'd brought with us). On Friday I took the book on a visit to some friends. 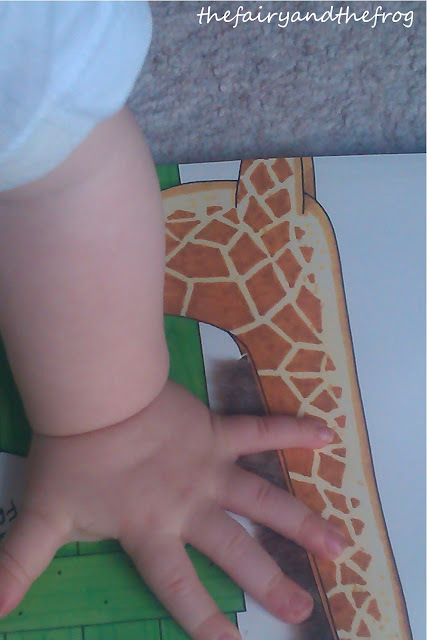 Both the preschoolers and the babies present enjoyed interacting with the book. 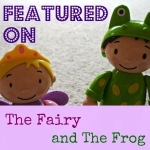 I loved the frog's sticky feet and 'The Fairy' and her friends loved the lion who tried to bite their finger.